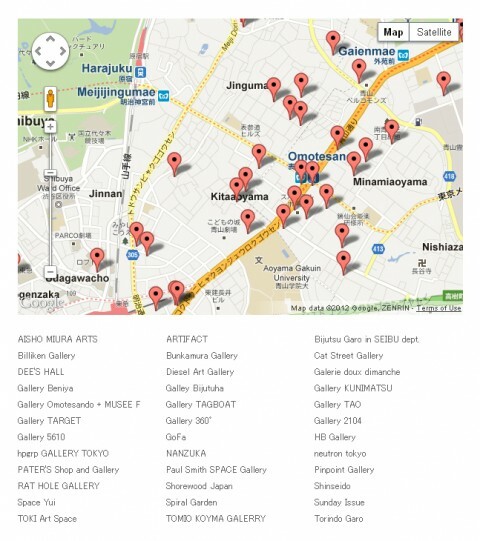 I published three different maps of art galleries on DENKI-MIRAI’s website. The galleries appear on the maps are my favorite ones located near to my office. Originally, I didn’t start making them for the purpose of sharing, I made them for myself to remember. But looking at the maps with more numbers of red pins than I expected, I noticed they could be useful to English speakers who visit Aoyama-Harajuku. Maps are not completed yet. They will be updated. Enjoy!